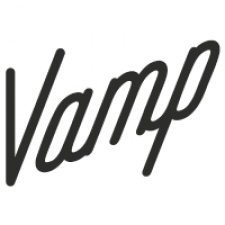 Influencer marketing company Vamp is experiencing success in Indonesia months following its first campaign in the country. The company partnered with mobile manufacturer OPPO to promote the new F11 Pro smartphone for a campaign that resulted in high engagement between influencers and their audiences. The campaign saw an engagement rate of over 28 per cent, with one Instagram influencer, in particular, achieving a rate of over 255 per cent on their own channel. Another campaign for beauty brand Laneige also was successful. An audience of over 700k was reached through 22 micro influencers. “Running a campaign with influencers never felt so convenient. Vamp truly simplified my work, from choosing the right talent, to monitoring the campaign results in real time. Not to mention the new names that they could recommend. Their comprehensive report has helped determine my next influencer marketing strategy," said Lineage PR & comms assistant manager Zefanya Deby. Vamp recently welcomed a new addition to their Indonesian team. The company continues to work with brands to run successful campaigns with influencers. The company's co-founder Aaron Brooks is also a frequent contributor to InfluencerUpdate.biz. Visual Amplifiers: "Brands are definitely looking for higher quality content over following now"